Overland Park, KS | Choice Solutions whose strength was traditionally driving leading edge innovation in technology realized that HR and IT must create stronger alliance partnerships, working and collaborating together. HR has the employee demands and IT has the responsibility to equip the users with tools and capability around innovation, automation, simplicity, and security to deliver on those demands. 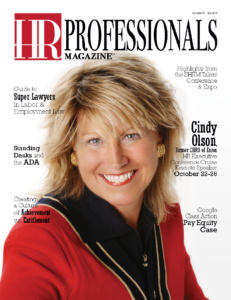 Choice Solutions saw a need in this market to create a separate organization, the Choice Strategic Alliance led by Cindy Kay Olson, a former Fortune 7 CHRO and experienced HR practitioner. The Choice Strategic Alliance is composed of a group of CHROs, past and present, from successful companies of all sizes. The group discusses real issues and gains vital insights from thought leaders and market influencers who bring elements of culture, technology and talent together. Topics are disruptively innovative and focus on attaining and retaining talent, productivity and profitability delivered by the employee experience. HR and IT must truly work together if a company is to compete in today’s digital age, talent demands a consumer like experience.